The imposing figure of John Ruskin towers over the Victorian era. Primary art critic, prominent thinker and prolific writer, even artist in his own right, his shadow falls over all cultural movements of the latter half of the nineteenth century. A myriad published works record his views on the art, architecture, literature and politics of the time. But what of the man himself? His critical views are well documented, but how does his own private persona stand up to scrutiny? Screenwriter Emma Thompson seems keen to ask, even if the exercise raises just as many questions as it answers. A personal project dear to Thompson’s heart, Effie Gray seems to have had a (somehow appropriately) difficult conception, a failed plagiarism lawsuit delaying it. Her conspicuous absence at the film’s premiere only casts further doubt on her dedication following release. Thompson may have called on a few favours when assembling the cast, for the cream of the British acting establishment is finely represented. David Suchet and Julie Walters play Ruskin’s parents, the easy warmth of their first greeting rapidly crumbling to give way to a tyrannical imperiousness. It’s all the more effective for playing against type. James Fox, Robbie Coltrane and Derek Jacobi all make brief appearances. Greg Wise (Thompson’s husband) artfully illustrates Ruskin’s barely concealed egotism. The title role itself goes to America’s Dakota Fanning who is suitably reserved and winsome, later increasingly wan. Thompson brushes herself in as Lady Eastlake, the only person sensitive to Effie’s situation, for it is the young bride’s solitary predicament as Ruskin’s wife that is the central subject. By implication this is a mistreatment swept under the carpet of patriarchal history. As authoritative and respected as he may have been, it’s fair to say that Ruskin harboured …intimacy issues. In fact, the phrase doesn’t do justice to the extreme nature of the trait. But the cause is only hinted at rather than explored. And as their barren marriage steadily deteriorates, each nocturnal bedroom scene a shivering blue, Effie becomes drawn to the artistic elite of Ruskin’s circle, namely John Everett Millais, in the form of an alluring Tom Sturridge. Curiously, just as Emma Thompson’s mission to reveal Effie’s plight is mirrored in her casting as the sensitive, maternal Eastlake, Greg Wise suffers for the sins of his character, billed far down the cast list despite being joint lead. Venice and the Scottish highlands offer grandiose landscapes reflecting the works of the Pre-Raphaelites that Ruskin championed. But the grand cinematography doesn’t continue when the action returns to London. Presumably this is because the area has changed beyond recognition. By way of illustration, against the idyllic backdrop of the family country pile, Julie Walters asks, “What on earth is wrong with Peckham?” By contrast, the readymade period film set of Venice shines as stunningly as ever. As the role of Effie’s Italian chaperone changes from guardian to pursuer, his intentions darkening with every turn, the potential menace of the city’s twisting walkways and canals is sketched in scenes haunted by Don’t Look Now (1973). 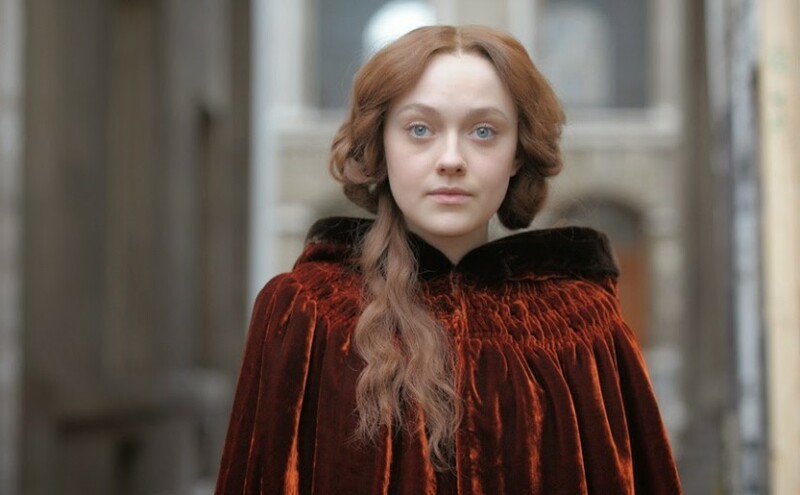 Effie Gray is an elegantly played out quest to reveal the painted-over truth of an enormously revered but personally heartless figure. However, as emotionally cold as the central relationship, it is ultimately unsatisfying. One leaves yearning to know more about the ramifications of Effie’s actions; actions she is forced to commit by the unspoken cruelty of one of history’s most outspoken critics.